ALGIERS (Sputnik) - The compliance of the Organization of the Petroleum Exporting Countries (OPEC) and non-cartel producers with the Vienna oil output deal reached 129 percent in August, Russian Energy Minister Alexander Novak said on Saturday. "In August, 129 percent," Novak said on the arrival for OPEC-non-OPEC Joint Ministerial Monitoring Committee (JMMC) meeting in Algiers scheduled for Sunday. He added that the countries would discuss the situation on the oil market on Sunday. 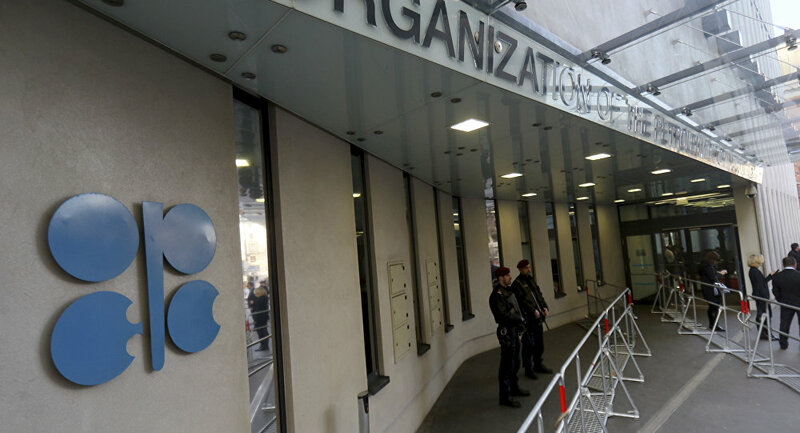 Previously, three OPEC and non-OPEC sources told Reuters that OPEC and non-OPEC countries had agreed to review current oil production as a countermeasure to the lack of Iranian oil caused by the US sanctions. Meanwhile, Saudi Arabia reportedly will not be able to produce 12 million barrels per day to cover Iranian oil exports once Washington introduces restrictions. A senior US official told the Wall Street Journal that according to Washington’s estimates, Riyadh would not be able to boost its oil production to 12 million barrels a day.